We don’t question our heroes when they battle bad guys. We trust that they are doing the right thing. Sure, there is usually some destruction, but these villains need to be stopped right? 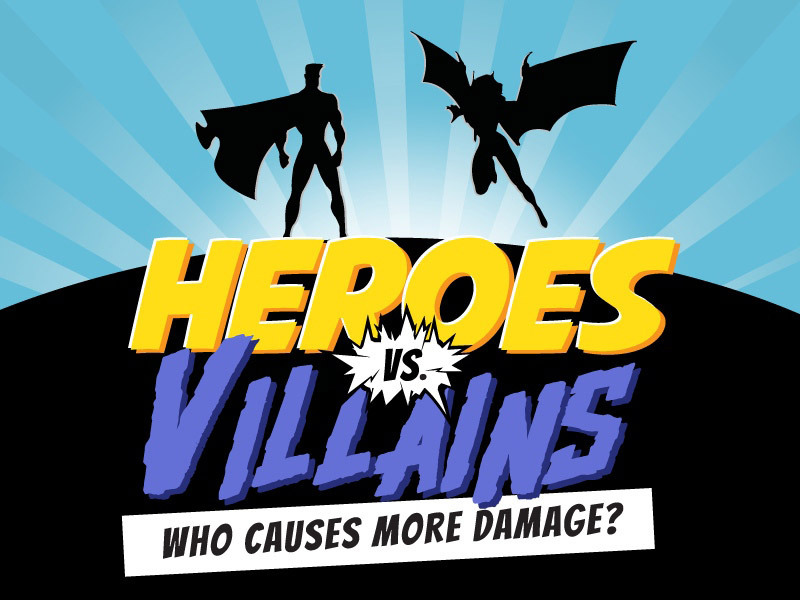 Do heroes cause more damage than villains? Or are the villains doing all of the damage? The handy infographic below from HomeAdvisor breaks it down for us. The results might surprise you. It looks like for the most part the heroes do a pretty good job of keeping the destruction to a minimum. Sure, there is the chaos that Superman caused in Man of Steel, but to be fair, that was designed to set up the Batman V Superman movie.